There are Wi-fi networks Available! Do you ever go to a festival and do you always get the Wi-Fi networks available notification? Very frustrating because you think that it is a message. How can this report be useful anyway? 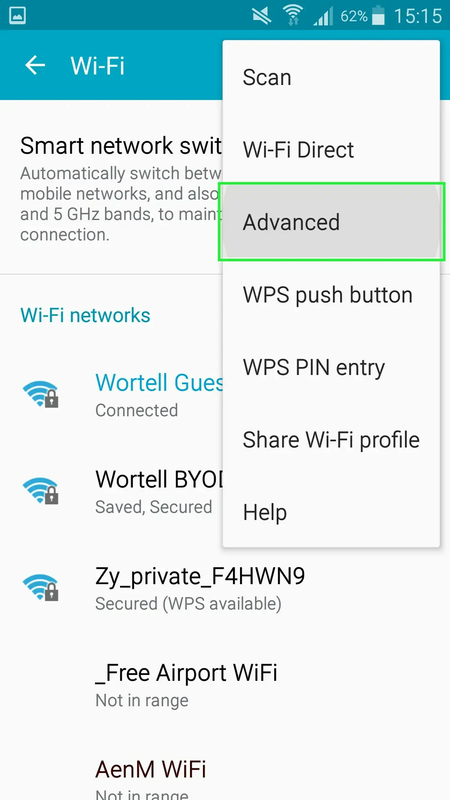 Well, if you are in a public location like a library that has a public wi-fi you know that you can connect and save your data bundle. 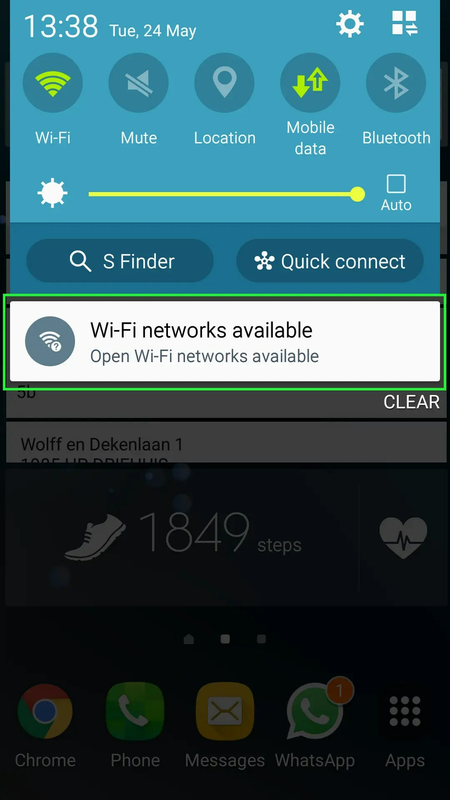 Let’s disable the “wifi networks available” notification. There are two tutorials of which one tutorial contains only the steps for the techies among us, and if you cannot fix it with that, you can use the second tutorial that contains screenshots for the dummies among us. The short steps for the techies. Find the 3 Dots button and open the tab. Find Network notification and undo the checkbox. The longer steps for the dummies among us. It is quite easy to disable the notification, but if you can not disable it with the short tutorial, I have the same steps below but with screenshots. 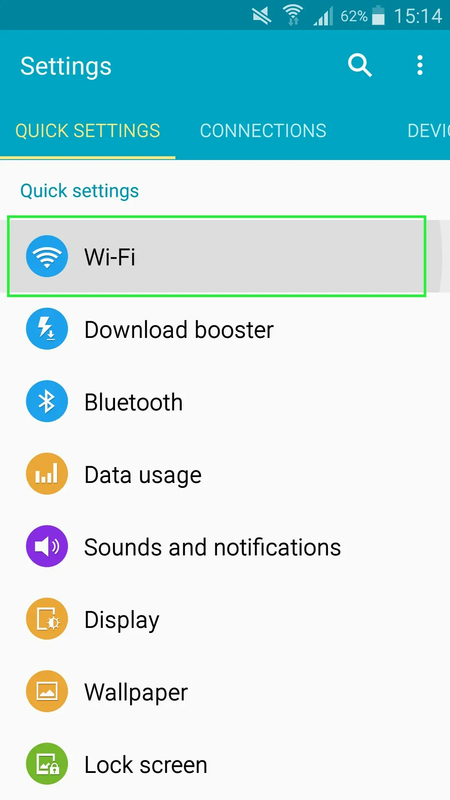 After you have opened Wi-Fi you will see 3 dots in the upper right corner. Open the 3 dots and then open Advanced. 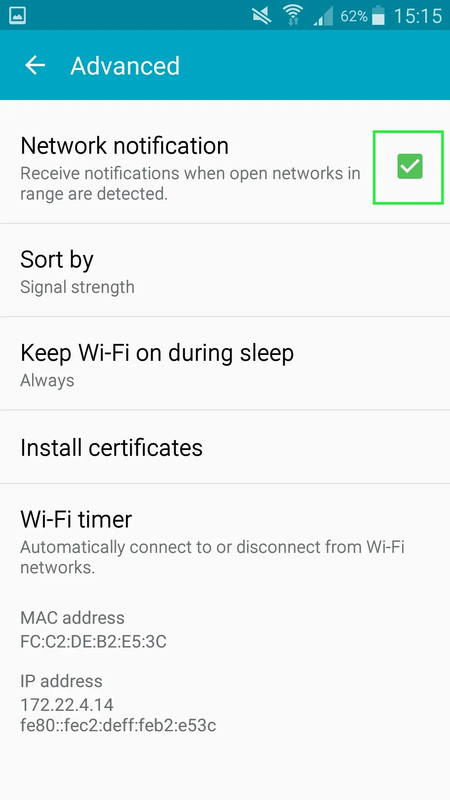 Here you see various advanced settings for your Wi-Fi connection. We are looking for the Network Notification option. There is a checkbox next to it. Undo the check. You should not be getting the message anymore now. Do you have a question about this subject, or are you looking for another tutorial for Android? Please leave a comment. Do you have other ideas or feedback? Feedback is always welcome, please leave a comment. I’ve disable the notification but the still keep coming. My only solution isw to turn off sound. then no phone calls, of course.